Earrings that work for you. Here at Muchacha Los Angeles we intentionally design pieces to reignite your appreciation for the hand-made and give your confidence a boost something like an espresso shot. I'm talking epic karaoke, start-that-side-hustle, own-your-life, travel-the-world, show stop, mic drop, people-know-when-your-beautiful-self-walks-into-a room kind of confidence. We carefully consider every part of our earrings, from the light weight made for an all day hustle, to every speck of glitter that compliments your sparkle, to making environmentally conscious decisions as our shop grows. You can totally pull these off, I promise. You asked, we listened. Our favorite Baby Dangles now come with a classic hook, replacing the breakable stud. 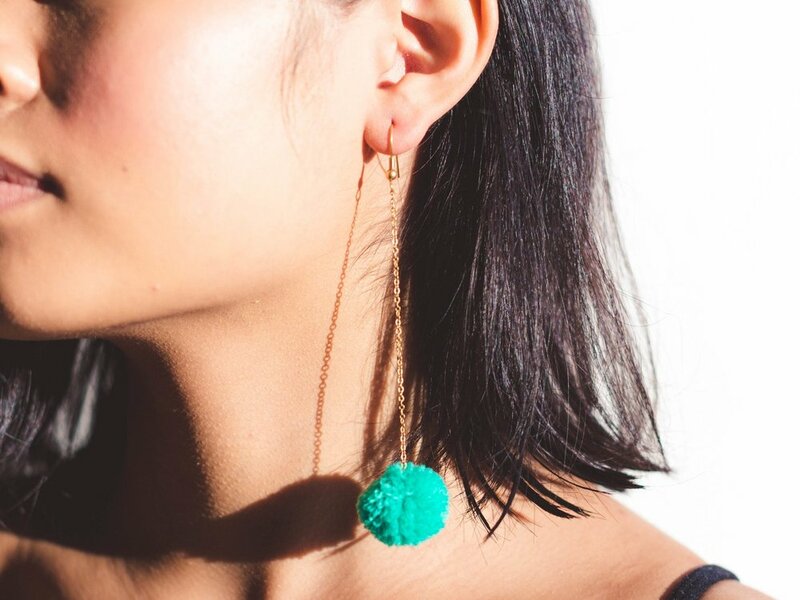 Now our first ever earrings are more comfy, and just as fun to dance in.